Passed by this new chinese bistro along J. Abad Santos in San Juan called Chow Fun. We didn't have any idea where to eat so we decided to give it a try. 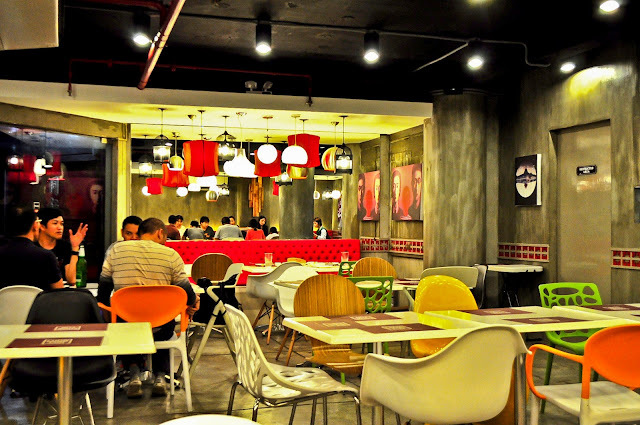 Chow Fun is just a month old restaurant which happens to be the sister company of Nav Modern Thai Cuisine in Pasig. They are still on soft opening but there were quite a number of diners on a Sunday night despite the heavy rain. Our server that night was very kind to introduce their must-try dishes and gave a few recommendations. 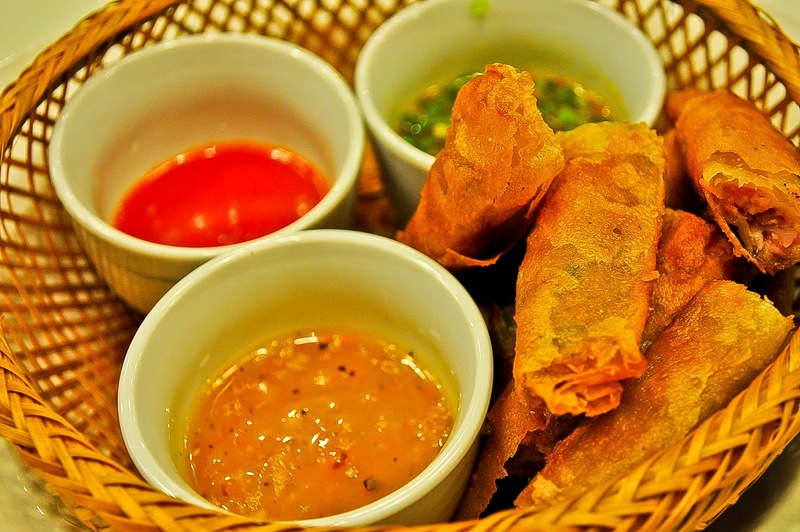 We started with the Oriental Duck Rolls (P165) which are fried spring rolls with duck fillings served with three kinds of sauces. The spring rolls were crispy and taste was very flavorful. Quite different from the usual spring rolls I had 'cause I could actually taste the savory duck meat inside. I prefer to dip it in the tangy lemon or vinegar sauce to balance out the flavors. These are deep fried seafood balls, squid and vegetable cakes served with your choice of fondue dip- Cheese & Curry or Spiked Sweet Chili. Our server recommended the Cheese & Curry which we gladly chose. It was a light creamy cheese sauce with very subtle taste of curry. I couldn't even taste the curry on it but I loved it just the same. Everything was perfect to go with the cheese fondue, the soft and bouncy squid balls, diced radish cakes and the crunchy squid became yummier and tastier. We both love tofu so we immediately ordered for this one. 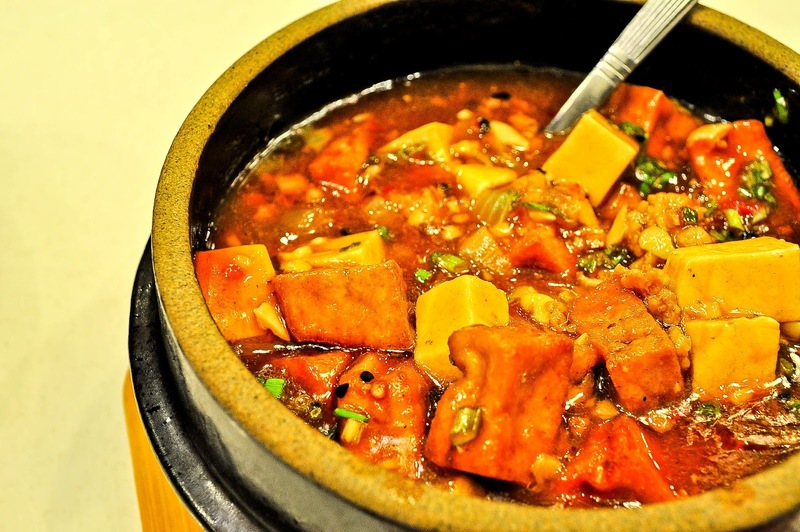 It was served in a hot stone pot which was good as it retained its hotness until the very last serving. The famous spicy Szechuan dish was served with 2 kinds of tofu, one is silky soft tofu and the other one is fried bean curd style. Taste wise, I found it too spiced up and garlicky. I think there's more garlic on it than the minced meat. If you love garlic so much then this dish is for you. I was contemplating whether to get Chow Fun's Beer Chicken or their Steamed Lemon Chicken when our server recommended their Coffee Braised Beef. We wouldn't regret ordering it that's what he said, so in the end, we decided to give it a try. Indeed this beef short-plate stewed in coffee with Chinese spices and seasonings was good. You can actually taste the distinct coffee flavor from sauce that gave a blend of bitter and salty taste to the dish. The beef was very tender with a few amount of fat on each chunk. We initially didn't plan to order rice but with this very saucy dish, how can we not. 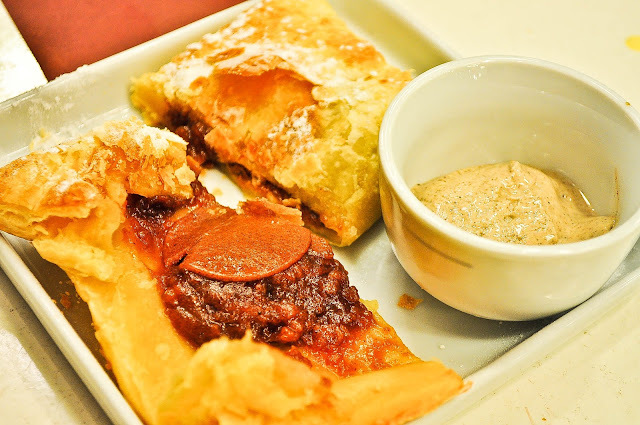 For our dessert, we had the Haw Flakes Pastry which is baked puff pastry filled with haw flakes paste. 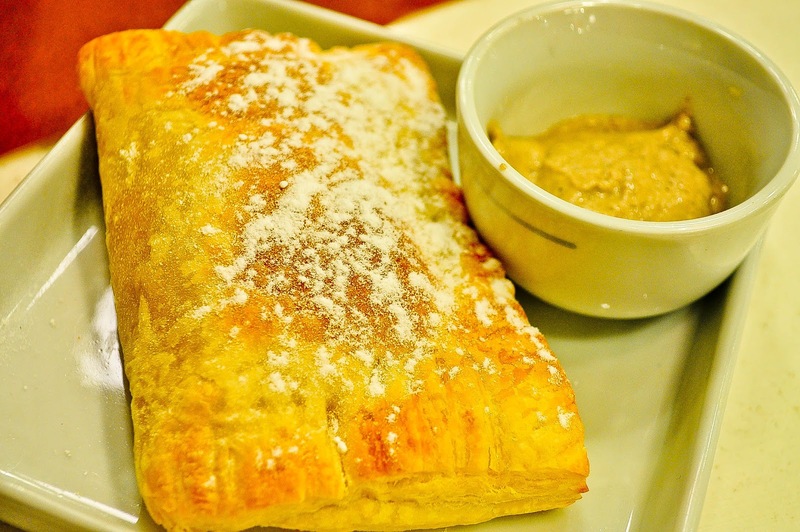 It was also served with a five-spice cream on the side which was a great complement to the pastry. It was a complete nostalgic feeling after the first bite. It's like childhood all over again and we ended up chatting about the past and how this classic Chinese sweet became our favorite. Chow Fun sure knows how to give modern Chinese cuisine a twist. 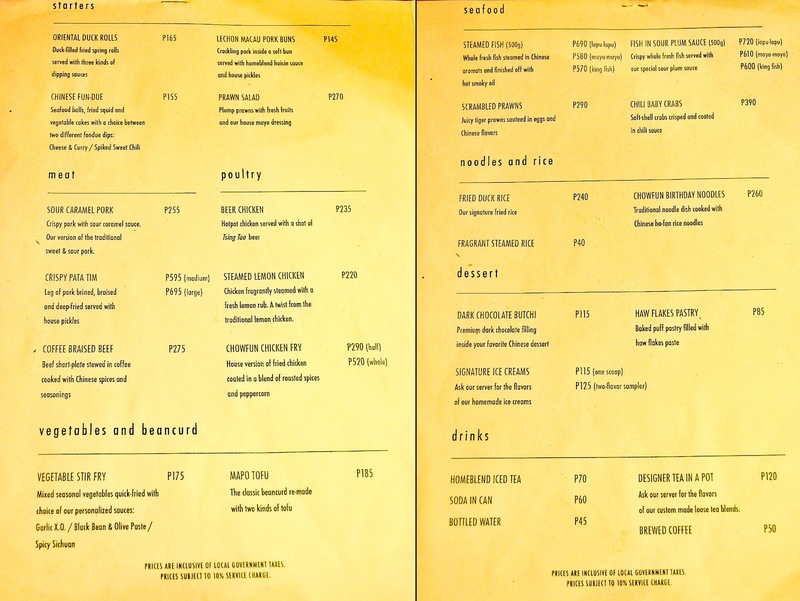 Every item on their menu will surely pique your interest and will make you want to try them all. I will definitely go back and try their other dishes next time. 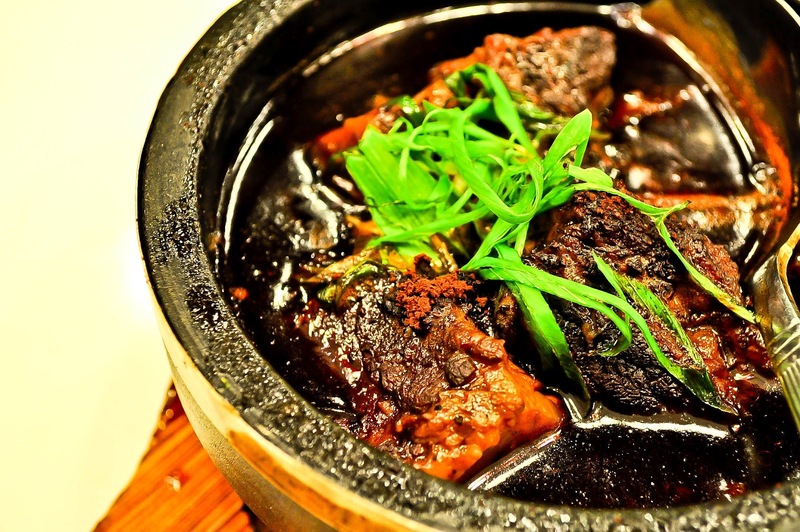 Wow coffee braised beef looks great..I love Chinese food! 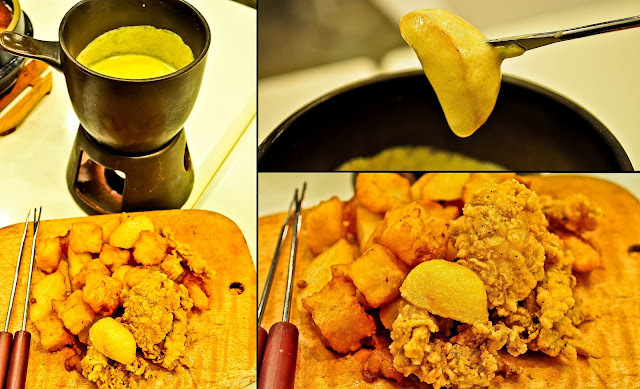 i'm not a fan of chinese food, but it's tolerable than Japanese food :) Must try this though! Wow! Coffee Braised Beef sounds interesting. Will going to check this place out. coffee braised beef looks good. I wanna try the fun-due and noodles. Tofu, tofu, what I love...Thanks for sharing..Great shots with those food, really soooo enticing!